Improve your technique and performance beyond recognition. You will not believe the progress that you will make. You will return home a confident and inspired dancer, dancing with renewed energy and purpose; and with enhanced artistry. • The 1-week sessions are ballet only. Are the unique concept of Mignon Furman - exclusive to the AAB. The program is taught throughout the U.S., and in 10 other countries. 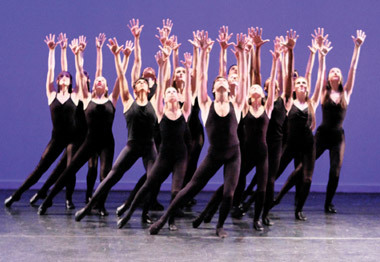 In addition to their regular classes, dancers receive extra coaching. The program is an optional extra. It does wonders for technique and performance. Dancers are eligible to be awarded scholarships for Summer School 2020. Classes are divided into small groups for coaching by faculty teachers. Especially for AAB dancers by dancers from American Ballet Theater, and the NY City Ballet – evenings of wonderful ballet. *Not applicable to 1-week enrollments. All photos on the website by Costas except faculty headshots and photo gallery section.